Although most varieties of the Quince are hardy and it can be found wild, it is now rarely grown in British gardens, but it is still popularly grown in Latin America and Southern Europe. Originally, Cydonia Oblonga, to give the plant its proper Latin name, came from Crete and was named after Cydon. The Portuguese name for Quince is Marmalo and as the fruit was commonly used for making a preserve it gave rise to the word Marmalade. Reaching only about 20 feet, Quince, is one of the smaller fruiting trees. It is a member of the apple family and related to the pear, indeed it used to be listed as Pyrus (Pear) Cydonia. Quince are commonly confused with the Japanese quince, the Chaenomeles, that also produces similar looking fruits, but is strictly ornamental. (Cultivar Cido is the one exception that was bred in Lithuania and has lemon flavoured fruits.) 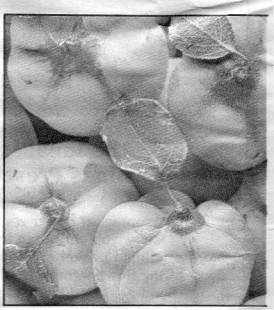 Unlike most fruit trees Quince do not require intensive pruning, but they do need permanently moist soil to grow well. Although a member of the apple family, unlike most apples, Quince trees are self-fertile. In other words, it is not necessary, to have a male and female tree as with some fruits, or, as with apples, two trees in flower at the same time. In warmer countries, the late Summer fruit, will ripen naturally and can be eaten straight from the tree, although they are a little tart and have a gritty texture, but in the UK they have to be picked and left to ripen in a dark place. As the fruit ripens it changes from green to yellow and produces a fragrant floral scent, so traditionally they were left to ripen in ladies underwear drawers. Quince have been popular in England for centuries, and even as long ago as 3 or 4 hundred years, it was shipped to the UK in jars as it was believed that it settled the stomach. Apart from making a preserve the fruit was also traditionally served stewed, with strongly flavoured meats, such as venison, pork and duck. It can of course also be mixed in with other fruits such as apple to make pies, etc.